So now that I’m in the PNW I’m looking to replace my lowered A4 Avant with something I can take off into the mountains to go camping. For a while I had been thinking about a J80 Land Cruiser, then then I came across stories like this and parts like this. Now I’m thinking about joining the other 80% of Seattle and buying a Subaru. Maybe less off-road capabilities than the J80, but 95% of the time it will be driven on-road, so why not get decent milage and better handling? A lift kit and decent tires will help get me most places. 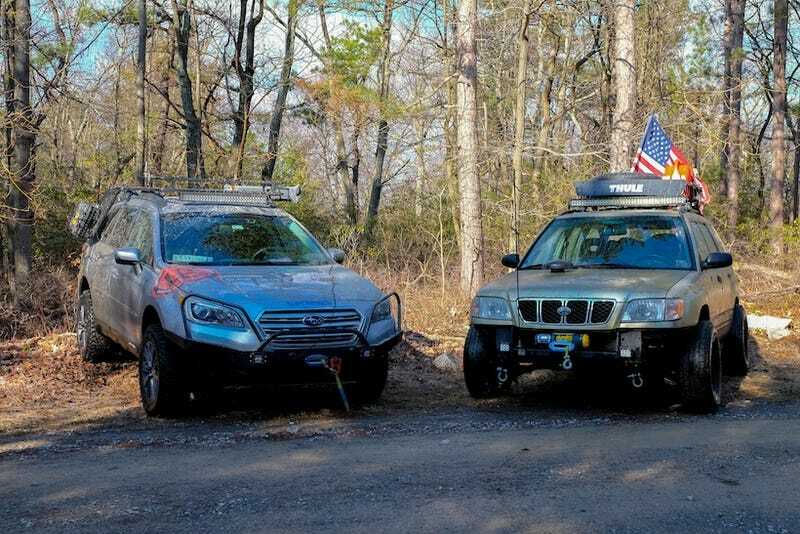 So have any of you had experience with the Outback and/or Forester? Outback looks to have better cargo space (need to fit the dog plus camping junk), but the Forester would have better approach angles (more stuff would need to go on the roof rack so the dog has room). Specifically looking at 2nd and 3rd Gen Outbacks, and 1st (SF) and 2nd Gen (SG) Foresters to keep costs down (this will be a second, and hardly used car). Any year/generation I should stay away from? Should I seriously consider paying more for a newer model because of features/components/reliability/etc?